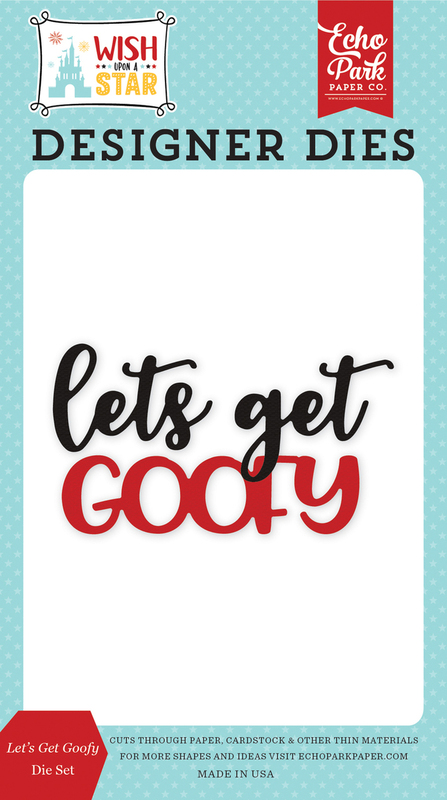 This package contains Decorative Dies with the words "Lets get Goofy". Perfect for the most Magical Place on earth or to highlight anything Whimsical. Part of the Wish Upon a Star Collection by Echo Park.